Our dive center is based in the new harbour of Skiathos (town) in Greece . 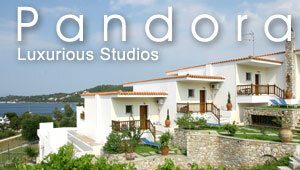 Skiathos is a beautiful island and have a wonderful sea, and we love to show you its beauty. We have many different dive sites to dive at with a lot of marine life. We do discovery/introductory dives for the beginners who want to try and see what scuba diving is. We do diving excursions for the certified diver. We offer PADI dive courses for those who wish to enhance their skills and experiences in diving. Our goal is to provide you with a remarkable, enjoyable and always safe diving experience. Skiahtos is a beautiful little island in the Agean Sea, belonging to the Sporades islands. We can offer many nice dive sites with a lot of beautiful marine life. The crystal clear water has a visibility of 20-25 meters with a temperature of 20-26 degrees Celsius. Most dives are made with our 10m dive boat that leaves the marina twice a day. You choose if you want to join us in the morning or in the afternoon. We make small groups of maximum 4-5 divers in each group so you will better enjoy your dive. An introductory dive is for you who is a little curious about scuba diving and want to try it. You join us onboard our boat one day where we give you a basic lesson about scuba diving and then together with an instructor you explore the underwater world. Your instructor will slowly take you down to a maximum depth of 6-8m and since we only take one to two beginners at the time you will be well taken care of. We do the introductory dives along a reef so even for the beginners there is a lot of marine life to see. Everybody can do it as long as your health is ok and our minimum age is 12 years. To become a diver is something very special. With a certification you can now experience things you never experienced before. You have probably, after taken your certification found yourself a new hobby. With us you can educate your self and become a PADI Open water diver and slowly continue until you are a PADI Divemaster. PADI Advanced Open Water Course: 2-day course including theory and 5 dives. The diver needs to bring a medical certificate and 3 passport photos. The medical certificate cannot be done on the island but passport photos can. All course need to be booked in advance by phone or by e-mail.